“Cheat sheets” always helped me in school. Being a visual learner, they were a quick and easy way to memorize a lot of information in a short amount of time. Here are a list of my favorite free printables–from learning the bones of the body to trigonometry formulas. What started as a personal reference sheet turned into my most viral post. This classic math cheat sheet has been downloaded by tens of thousands, comes in three color combinations, and helped me survive junior high. Four pages of easy-to-memorize algebra formulas. 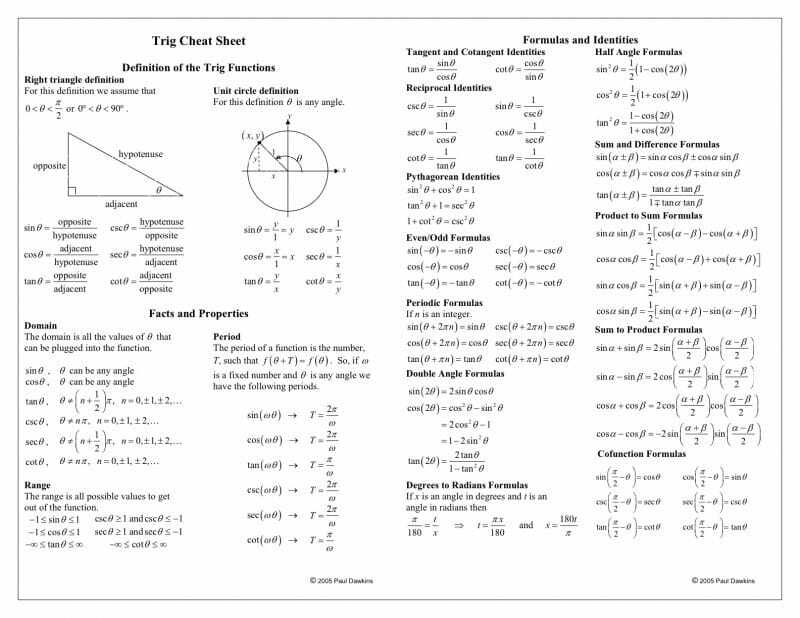 Along with this incredibly detailed two-page Trig Cheat Sheet, this site has many other comprehensive “cheats” for all your math needs! Here is an easy-to-follow yet comprehensive and detailed guide to the parts of speech and sentences! Includes the classic nine parts of speech, as well as the parts of sentences such as predicate adjectives, indirect and direct objects, and more. Super handy guide for memorizing transitions! This human skeleton printable from Crayola allows you to fill in the blanks for the different parts of the skeleton. It also comes with an answer key. Memorize your rights as a US citizen! Here’s a printable list. Do you have your presidents memorized? Here’s a handy full-color chart for you to memorize! To download, you must create a free account on the site though. The site is loaded with high-quality freebies and learning tools for kids. If you want, you can download a simple black and white text-only list of the presidents. These are adorable and very useful! Thanks for posting. Thank you for these wonderful cheat sheets, Amy!! !